The intended audience for the activities is hepatologists, gastroenterologists, infectious disease specialists, nurse practitioners, physician assistants and other healthcare professionals involved in the treatment of patients with hepatitis C.
Evaluate critical issues and apply evidence-based approaches for current triple-therapy regimens, including treatment selection, initiation, and duration of therapy. Discuss HCV treatment and management strategies that address adverse events (AEs), drug-drug interactions (DDIs), and issues relating to drug adherence. Assess the use and limitations of triple therapy in specific patient populations such patients with cirrhosis, transplant recipients, and patients who are coinfected with HIV. Examine clinical data about the safety and efficacy of investigational HCV treatments and the risk-benefits of treating now versus waiting. Chronic hepatitis C virus (HCV) infection is a leading cause of cirrhosis, end-stage liver disease, hepatocellular carcinoma, and death from liver disease in the United States. 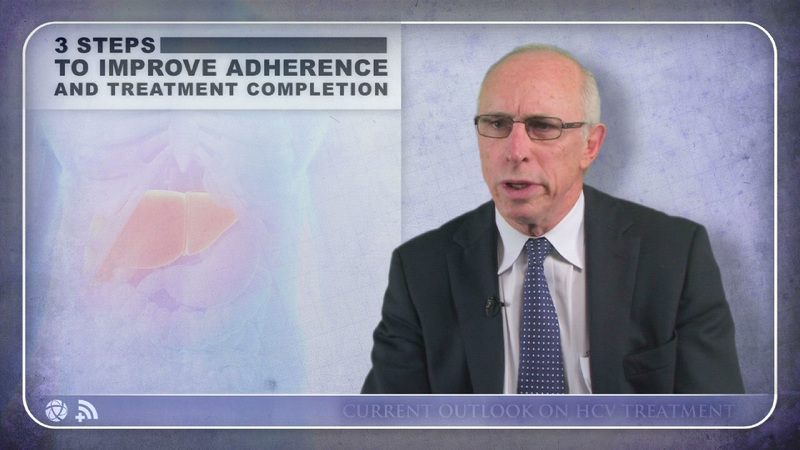 Effective management of HCV continues to pose a challenge for healthcare practitioners. The discovery, development, and availability of direct-acting antiviral agents (DAAs) offers new treatment options and the possibility of improved outcomes for newly diagnosed patients as well as those who have experienced a relapse or failed to respond to previous treatment. However, their use introduces new challenges and adds to the complexity of HCV treatment and care. With rapid advancements in the field and new agents offering potential improvements in outcomes, shorter treatment durations, and unique adverse event profiles, clinicians must stay informed of the evolving data in order to counsel patients appropriately—in particular, those who may wish to discuss the benefits and risks of initiating therapy now vs delaying treatment. This program will consist of a series of four video vignettes presenting interviews with clinical experts who will explore some of the most pressing issues in the management of patients with HCV. This enduring material is approved for 1 year from the date of original release: June 28, 2013 to June 28, 2014. To participate in this CME activity, you must read the objectives, answer the pretest questions, watch the videos, complete the CME posttest, and complete the and evaluation. Provide only one (1) correct answer for each question. A satisfactory score is defined as answering 2 out of the 3 posttest questions correctly. Upon receipt of the completed materials, if a satisfactory score on the posttest is achieved, Vindico Medical Education will issue an AMA PRA Category 1 Credit(s)™ Certificate. What Have we Learned about Starting Therapy Today? Will They Change the SOC?